The Tech 7 boot is now available in all black and all white. The all black color way gives the boot a sleek appearance from the black gaiter at the top of the boot, the all black buckles, down to the black outsoles. Keeping with the streamlined look of the boot, the all white color way is vented for added breathability and features silver buckle bases and all white outsoles. 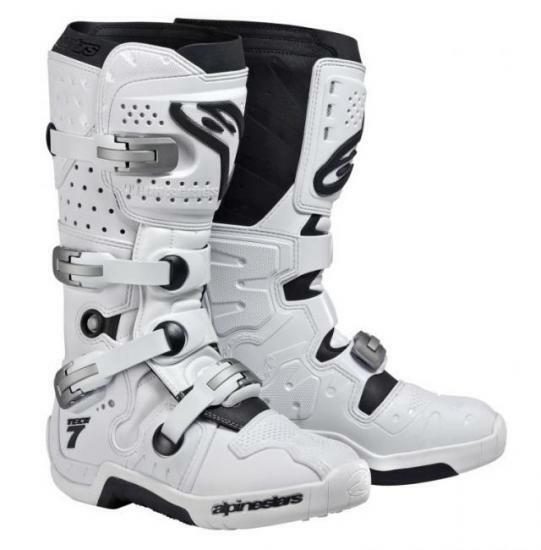 The Tech 7 boot is perfect for a weekend ride out on the trails or a practice day at the track. Additional features of the Tech 7 boot include an advanced closure system and an outsole derived from the innovative Tech 10 boot. The Tech 7 offers riders premium protection with a contoured calf protector plate injected with PU for high impact protection. TPU keeps riders’ toes, feet, ankles and lower legs safe from serious impacts. 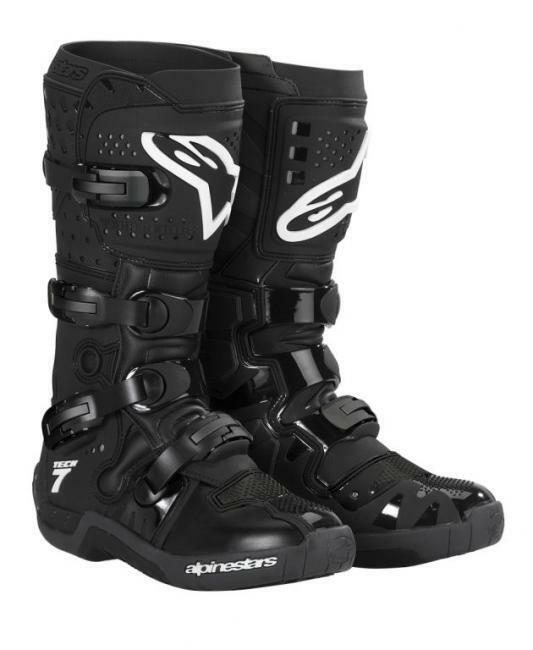 With a price tag of $299.95, the Tech 7 boot offers top protection at an affordable price.